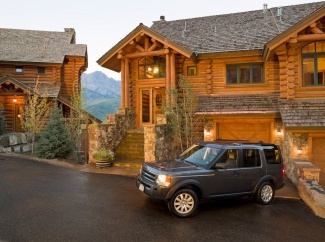 Reach Advisors surveyed 378 members of nine luxury private residence clubs located in top ski resorts. The survey assessed the satisfaction with availability and the likelihood that members would recommend the club to friends and family. and without the attendant set of hassles or costs of ownership of a second (or third) home for which a vacation homeowner is fully responsible." In an earlier article we summarized the reasons people buy into private residence clubs. The quotes below are taken directly from the report since they cover pretty well the results of this survey. but in the end, satisfaction and the willingness to hold onto a membership ends up correlating pretty closely with the use plan that dictates how and when members can use their private residence club." "But here's the point that wins or loses members: Private residence clubs are fractional interests. In theory, it makes a lot of sense to pay a fraction of the cost of owning a home when one spends only a small fraction of the year in that home. The problem is that private residence club members tend to want access to their residence during the same high-demand periods that others do." "To manage that availability imbalance, most private residence clubs have an allocation system that might involve a rotating calendar or a lottery system to assign weeks, supplemented by a space-available bonus plan and/or options to swap weeks. But does this leave members satisfied?" "On average, 39% of private residence club members are thoroughly satisfied with availability at their private residence club when they want to use it (37% are acceptably satisfied with availability, 24% are not satisfied)." "On average, 60% are highly likely to recommend that a close friend or family member consider purchasing an interest in their private residence club (25% say maybe, 15% say unlikely)." "1) Overall satisfaction in private residence clubs appears to be a function of: Availability + Service = Satisfaction Most of the private residence clubs examined earn the respect of their members for the service levels delivered. Most fall short on availability when the member wants to use their private residence club. Two private residence clubs, Epiphany Clubs & Resorts' Club at Tristant, and The Timbers Club, clearly lead the pack. But that does not necessarily make them a perfect choice for everyone." "2) Availability satisfaction tends to correlate (negatively) with ease of rental. Why? In part because some private residence club brands are designed as rather effective magnets for renting units, making it more difficult for members to switch weeks or get space-available bonus usage during desirable times." "3) Resale levels tend to correlate (negatively) with satisfaction. In other words, thoroughly happy members are more likely to keep their memberships, while members who are less satisfied are more likely to exit their memberships." So in summary, the chances are that like most private residence club members you'll love the services, luxury and hassle free nature of your new vacation home. But, before you buy into a private residence club really make sure you understand the clubs use plan. We've discussed the various fixed and floating models for use plans including the different terminology that you'll come across in an article earlier this year. The ability to rent out your unused weeks is a real compromise. If you can rent them out then so can all the other members and this means that there will be little (if any) "space available" time for those short notice getaways. The rental income can reduce your cost of ownership, but if you know that you'll be doing those last minute trips to your new private residence club home, it's better to join a club that doesn't allow rentals.